Murekatete Harriet 45, and her two teenagers, Mugisha and Kayesu, will for the first time since they built their house several years ago, use solar energy to light up their two-bedroom and sitting room house in Buhongora village in Kamate cell, Karangazi sector in Nyagatare district. Thanks to a partnership agreement between Ignite Power, Rwanda’s largest rural utility and Rwanda’s Energy Development Corporation Ltd (EDCL) and a subsequent contract to light up 500 homes in Nyagatare District, Murekatete, a widow was selected to be one of the two beneficiaries in her village after a rigorous selection process, according to the village coordinator, one Kayombya Godfrey. Her two children both go to nearby schools and will now benefit from the extra light hours at night, to catch up on their school-work. Apart from other advantages that come with clean renewable energy lighting, Murekatete will also be able to charge her mobile phone and those of her neighbors for a fee if so she chooses. The family has been using a torch shared between members of her household to provide light at night. She was overwhelmed by the ‘kindness’, and was effusive with thanks to everyone in her compound. The solar home systems by Ignite are equipped with a 10-15 watts solar panel; four lights; a Lithium long life battery, a radio and USB cable multiple-points charger. 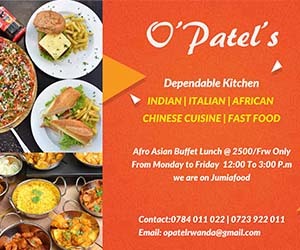 The unit comes with a 24 month warranty and has a micro –lending facility attached that allows clients to pay as little as Rwf 5000, about $ 6 per month for two years on rent- to- own basis. Murekatete’s family and 400 eligible others are in the first category of Ubudehe- Rwanda’s ranking for the poorest citizens – were all connected in only one day – Thursday April 6, 2017- five days after the EDCL and Ignite Power penned a contract for the supply and installation of Solar Home Systems in in 14 sectors of Nyagatare District. Despite harsh weather conditions, Ignite Power team of installers completed the task within 12 hours, while at the same time continuing to connect more homes across the country. The national electricity grid underserves Nyagatare District, and many areas of the district were settled after the liberation war and genocide against the Tutsi in 1994. Nyagatare district Mayor George Mupenzi, after witnessing the connections, said that power supply would not rely solely on main grid extensions to reach all unserved homes, but also other off –grid sources such as solar energy. Parts of the game park, formerly given to roaming wildlife and no human infrastructure were degazetted to give room for human settlement. 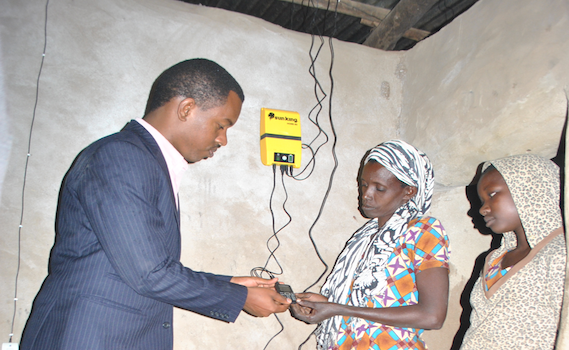 Most of Ignite Power clients are rural based and off-grid and the target of the 20% of Rwanda’s population to be connected to solar home systems by 2018. Last week, EDCL chose Ignite Power in a competitive tender as its supplier and distributor of high quality solar home systems to be deployed in Nyagatare. Ignite Power reached 25,000 homes connected to solar home systems this month of April, doubling its number of clients since the beginning of the year. This makes Ignite the largest and fastest growing rural utility in the country, merely nine months after commercial launch. Ignite Power Business Director Cohen Gahire told Taarifa, that he has deployed a large labour force of 1,000 strong specials- spread across Rwanda. He said the rural utility was able to connect hundreds in one day. Each of Rwanda’s 30 districts has a hub for warehousing; technical and sales support, as well as after-sales-maintenance. The connected homes are part of the largest solar project in Africa with project value of $38m, covering connections of 250,000 homes over the next two years. This, has put a smile on many families’ faces, and the Murekatete’s are not spared. Ignite Power is the fastest growing rural utility in Africa with over 1000 partners and distributors regionally. The company distributes and finances solar home systems to clients across the continent, connecting hundreds of thousands of beneficiaries to safe, affordable power.